Below you find a portrait taken exclusively for Entertainment Weekly and People magazine at the Turner Upfront event in New York earlier this week in promotion of Miracle Workers. Update: 26th July 2018. Two more photos have been released via Ben Trivett's Instagram. 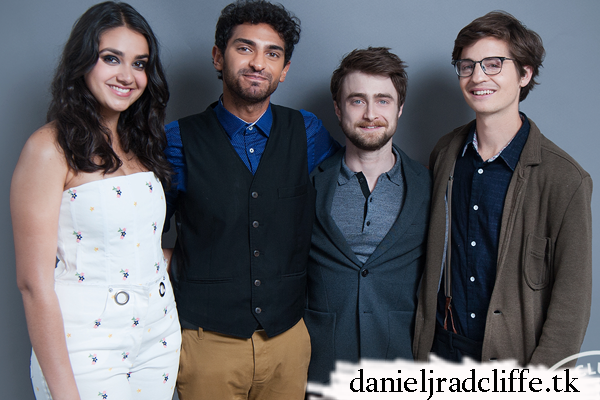 Geraldine Viswanathan, Karan Soni, Daniel Radcliffe, and Simon Rich (Miracle Workers) photographed in the People Magazine photo booth at the 2018 Turner Upfronts in New York City on May 16, 2018.